Q: What is the Sonoma Tourism Improvement District (TID)? A: The Sonoma Tourism Improvement District (TID) is a City‐mandated assessment of 2% of room revenue for all lodging (hotel, motels, inns, B&Bs, guest houses and vacation rentals) in the city limits of Sonoma. Q: Why was the Sonoma TID established? 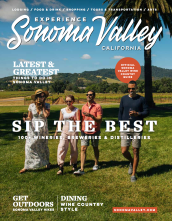 A: The Sonoma TID was established to provide a stable source of funding to promote the destination and increase overnight visits to all lodging in the city limits of Sonoma. Q: What are the boundaries of the Sonoma TID? A: Sonoma TID boundaries are the city limits of Sonoma. It does not include areas outside the city limits of Sonoma. Q: What is the duration of the Sonoma TID? A: The Sonoma TID was approved initially for 3 years beginning July 1, 2012 and was extended by approval of the Sonoma City Council in June 2015 for 10 years. A: Yes, for overnight stays lasting 31 days or longer at one lodging property.